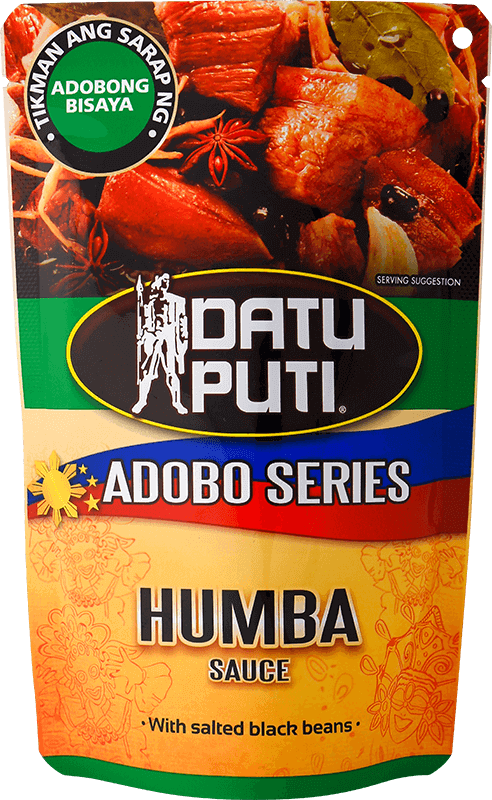 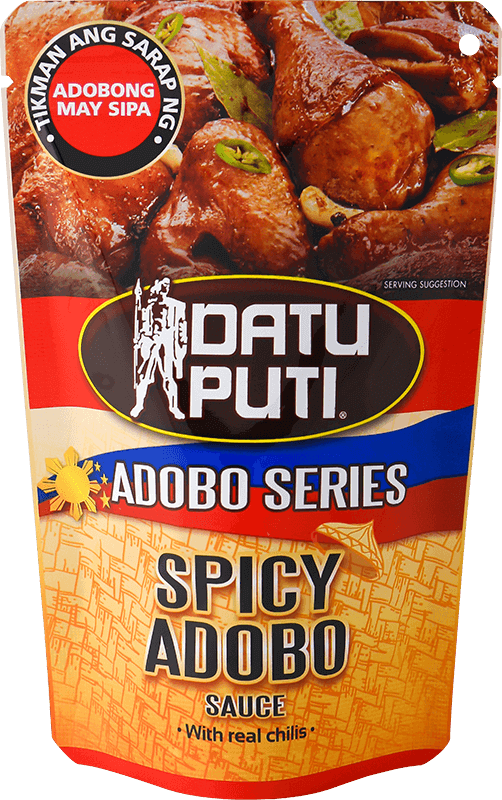 Datu Puti Adobo Series offers a first in market assortment of quick and convenient to use adobo sauces. 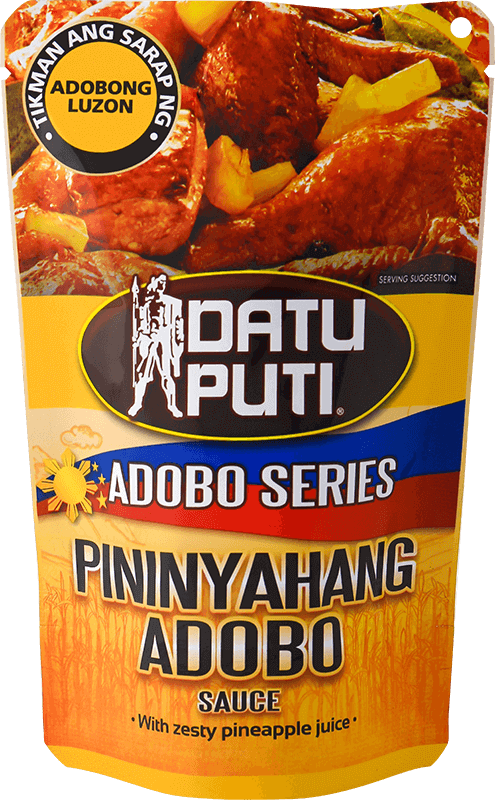 Whip up a variety of mouth-watering adobo dishes that will surely be loved by the family! 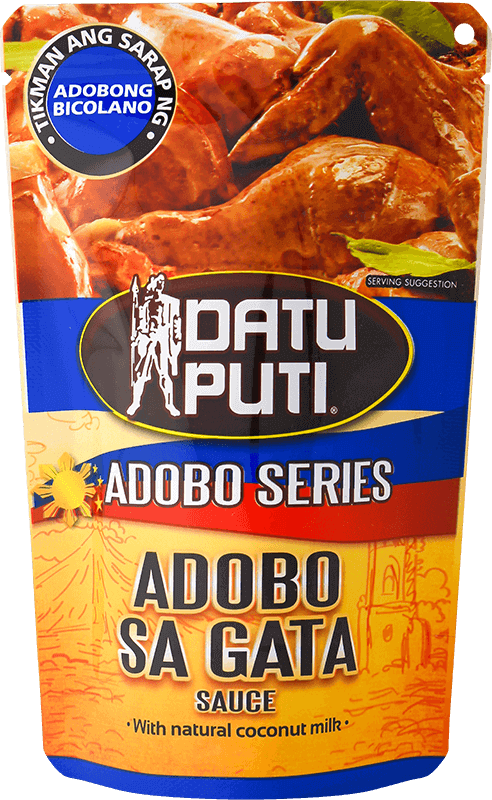 Datu Puti Adobo Series offers four adobo flavors: sweet Pininyahang Adobo, creamy Adobo sa Gata, sweet-salty Humba, and fiery Spicy Adobo.